This is one of those books I happened upon at the library and am so glad I did! It has been K’s favorite book ever since we brought it home. The wonderful thing about this book is that it shows how a little boy can pretend to be all sorts of construction equipment. I had never thought of having K pretend to be a bulldozer or backhoe! I’m so excited to learn more about how our bodies can do similar things to stuff even as huge as construction equipment! Oh, what a great book for pretending! 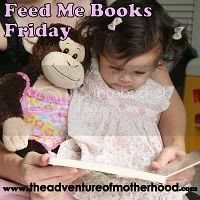 oh goodness we'll have to look for this one - we already do a lot of pretending but my little guy would love to combine books with pretend games!